This chisel set is perfect for use on the larger NOVA lathes and other lathes. 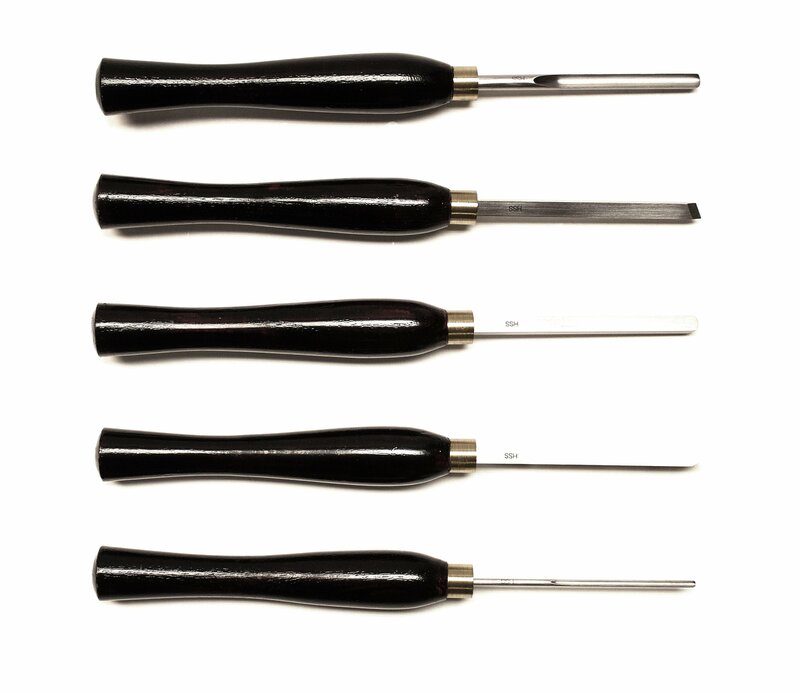 5 Piece Set – convenient with most of what you would ever need in one useful set including roughing, skew and bowl gouges. Crafted from M2 High Speed Steel – durable yet easily sharpened for a consistently fine edge.